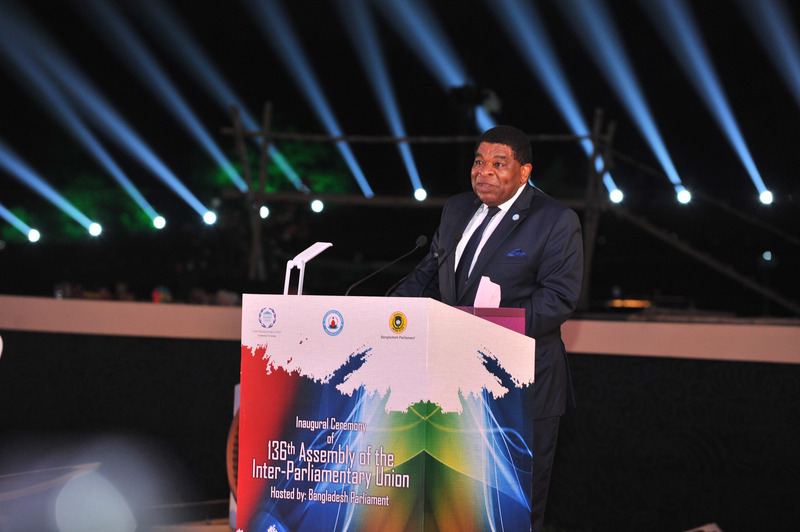 From 1 April 2017, the 136th Inter-Parliamentarian Union General Assembly brought together over 1,000 delegates from 131 Inter-Parliamentary Union (IPU) countries to Dhaka, Bangladesh. Inaugurated by Prime Minister Sheikh Hasina, the five-day Assembly began with the theme “Redressing inequalities: Delivering on dignity and well-being for all” at Bangabandhu International Conference Centre (BICC). Women’s, children’s and adolescents’ health issues were also reflected widely throughout the IPU Assembly agenda. PMNCH Executive Director Helga Fogstad moderated a panel discussion on 2 April, “Breaking Down Barriers for Improved Health of Young Generations: A Multisectoral Approach,” in support of Every Woman Every Child. Panelists included the World Health Organization Director of Reproductive Health and Research, Mr. Ian Askew, Scaling Up Nutrition (SUN) Movement Coordinator, Ms. Gerda Verburg, Zambian Minister of Higher Education, Ms. Nkandu Luo, and Tanzanian MP, Mr. Faustine Ndugulile. Panellists discussed how parliamentarians can scale up action through multi-sector approaches and partnerships to address key health determinants, including nutrition, skills development, education and protection from gender-based violence.